According to a new report, new approaches are needed to help engineering students gain the skills they need for the workplace. Work-and-learn is nothing new for many engineering students. Every time they do job shadowing or serve an externship, internship or apprenticeship, the assumption is that they're gaining hands-on experiences that will amplify what they're learning in class. Yet employers still have to spend between a year and two years "upskilling" graduates before they can truly be called an "entry-level" engineer. According to university and workplace experts, what's needed are new approaches to help engineering students prepare for careers after graduation. That was the starting point for a new joint report that shares four "imperatives" that schools and industry partners should follow to better prepare engineering students for work. The guidance came out of a two-day summer workshop convened by three organizations: LIFT, an organization focused on manufacturing and workforce development initiatives and operated by the American Lightweight Materials Manufacturing Innovation Institute; the Association of Public and Land-grant Universities; and the National Center for Manufacturing Sciences and Manufacturing. According to the report, "Engineering Work-and-Learn: Imperatives for Innovation," people from 49 organizations, including representatives from both university engineering programs and industry, gathered to talk about how employers can become more engaged in "work-and-learn" models and how schools can better prepare their students for the workplace. While the findings came out of a discussion on engineering in manufacturing, specifically, the authors emphasized that they considered their recommendations to be applicable to a "broad array of engineering disciplines, programs and levels of education." 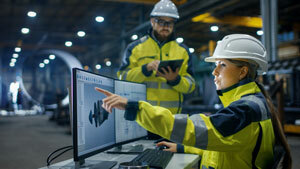 The first imperative called for a "re-imagination" of the engineering work-and-learn model to give engineering graduates a deeper understanding about how their role intersects with other processes and people in the workplace, including others in technology, production and finance. One recommendation: to formally create inter-disciplinary and multi-level "innovation groups" within the school that can develop new curricula and work-and-learn modules. Wherever possible, the workgroups should pull in industry problem-based learning to ensure that they're representative of real-world scenarios. Another recommendation: to team up with local community and technical colleges and bring engineering students and "technician" students together for projects. The second imperative was to have every engineering student participate in a "high-quality and innovative" work-and-learn experience. The goal: to begin favoring application over theory. One recommendation is to "develop multiple pathways" for the education of engineers, including one for research and another for application, to help students prepare for their particular career goals. Another suggestion: to promote "more flexibility in completion times," allowing for extended programs that can incorporate more work-and-learn for students. Currently, the average completion time is 4.8 years, the report stated. Perhaps that should be extended to six years, the authors proposed, with two-year increments that would sandwich hands-on activities with coursework. The third imperative was to develop curriculum that is responsive to industry needs — and not just the largest companies, but small and medium employers too. Here, the report advised schools to assess the extent to which their accreditation and curriculum review processes — as well as their faculty and administration — pose hurdles to innovation. Another proposal was to create campus facilities that are shared by academia and industry, facilitating opportunities for faculty, students and working professionals to "work side-by-side." The report also encouraged schools to hire instructors with industry experience and to work with Manufacturing USA Institutes to send students and instructors to "emerging technology" workshops and courses. The final imperative was to infuse work-and-learn models throughout engineering programs and not to rely so much on "champion professors or administrators" to make them happen. For example, the report explained, the institutional definition of student success could include a requirement for "employment readiness." Another idea: to create communities of practice as a partnership between education and industry for developing best practices for their work-and-learn programs. Providing incentives to faculty to develop work-and-learn models might also encourage the promotion of real-world learning in the classroom, the report noted. "Only by convening all of the parties involved can we truly align the needs of the manufacturing base with the competencies students are developing in their programs of study," said Emily DeRocco, vice president of education and workforce development at LIFT, in a statement. "As a national innovation institute, we have a responsibility to bring industry and educators together to not only develop, but also implement the strategies needed to ensure our graduates are ready to work in today's advanced manufacturing industry environment." The report is openly available on the LIFT website.